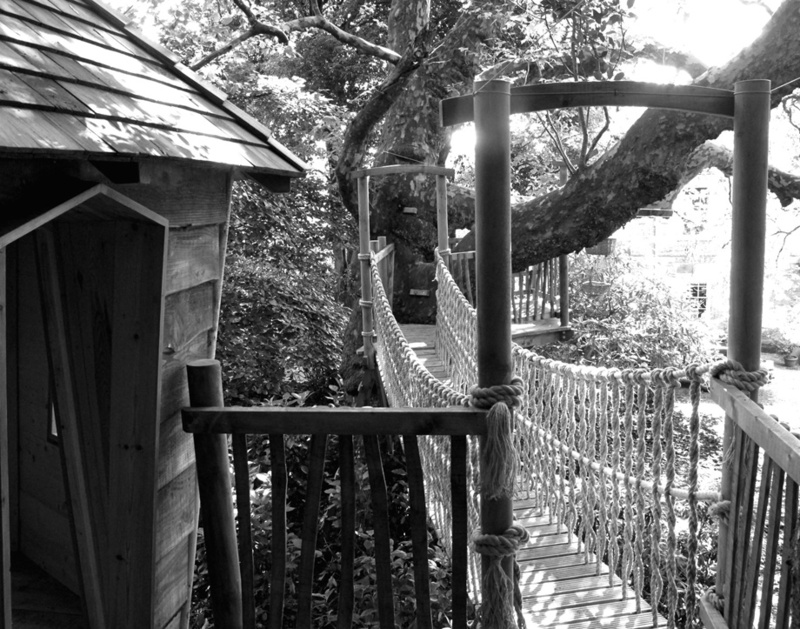 In addition to enhancing our garden… it has enhanced our lives... your guys are not only excellent craftsmen but lovely people. 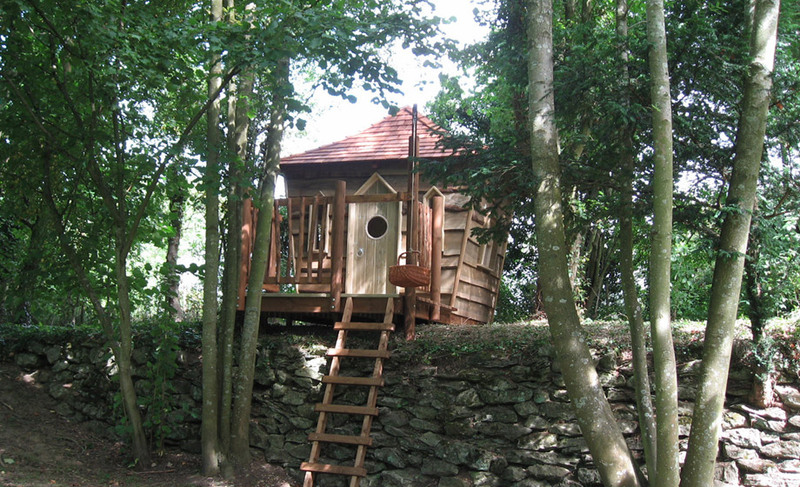 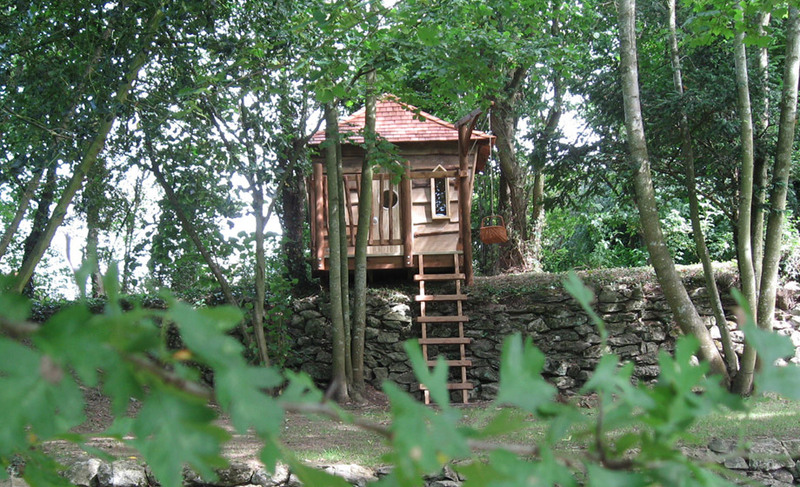 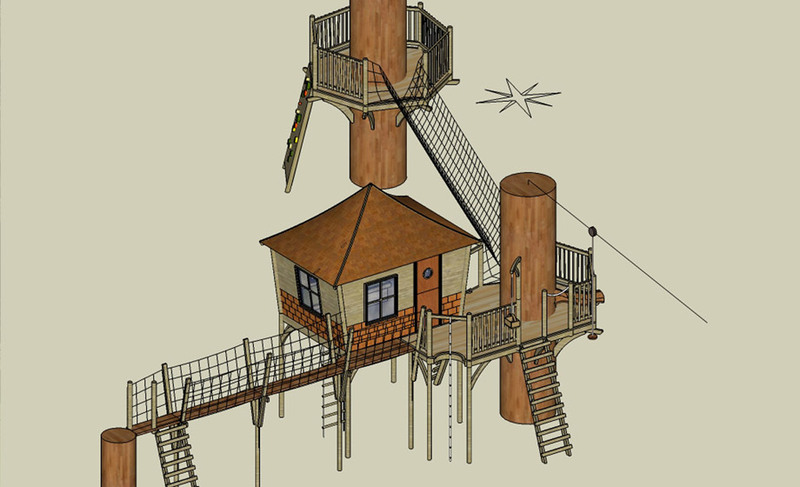 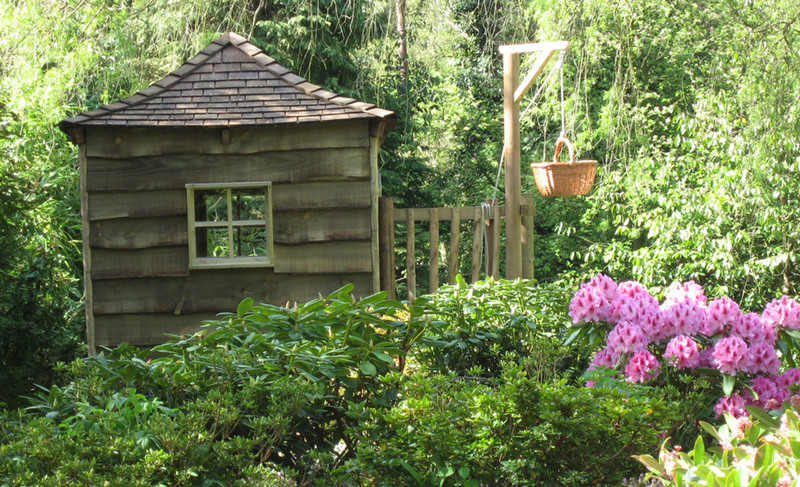 Here are a variety of our smaller children’s tree houses and playhouses. 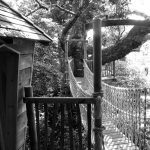 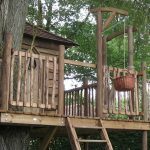 They are all created with the same target in mind – to achieve a natural and attractive structure that blends well into your garden, and which provides fun and encourages imaginative play. 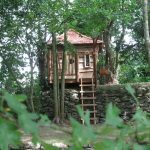 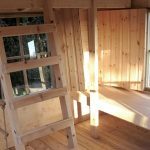 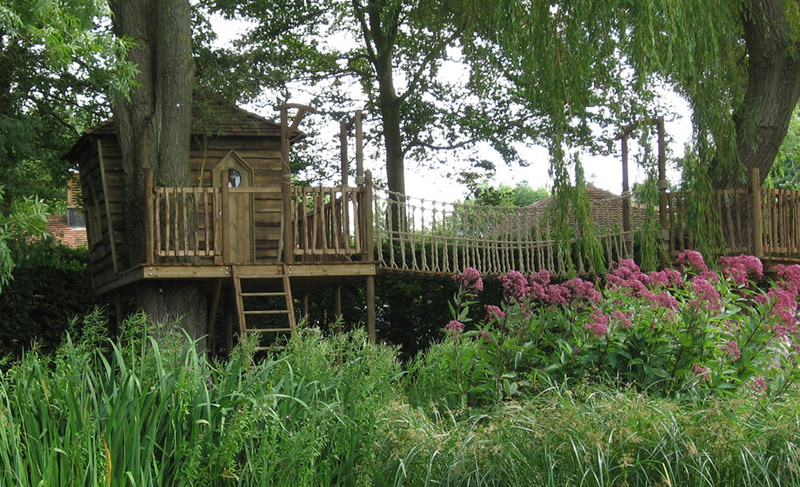 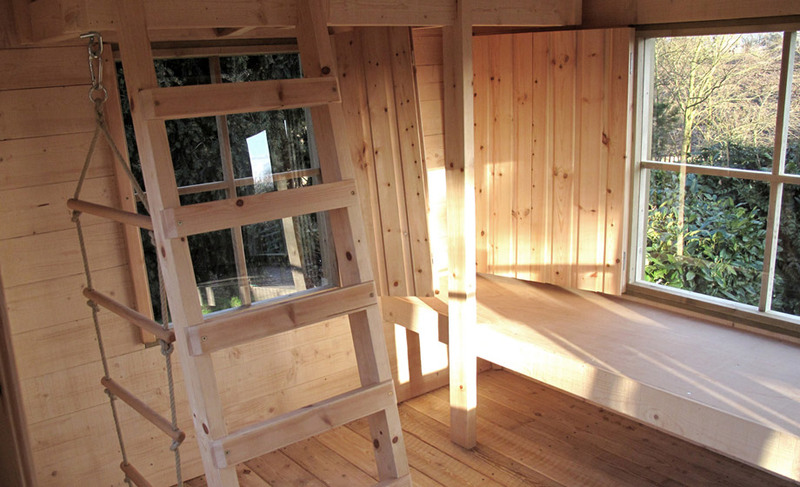 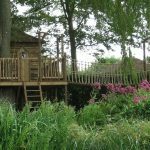 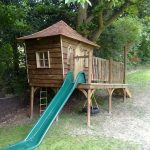 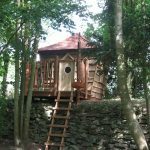 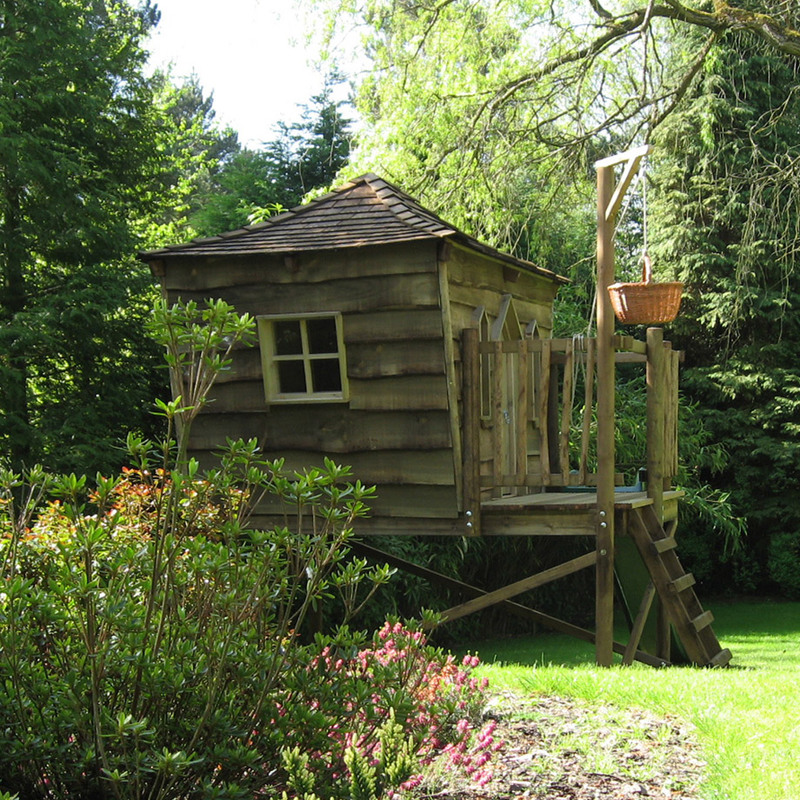 Created from our usual high quality, sustainable timber, our smaller tree and play house are safe, sound and lovingly build by hand. 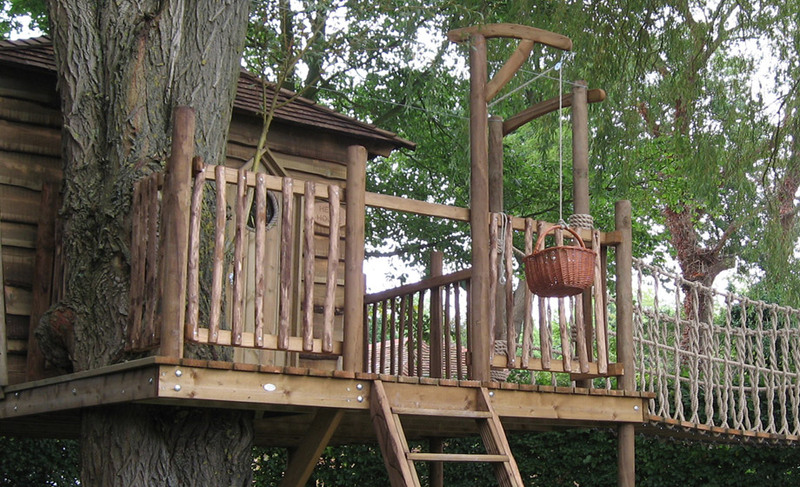 Each project can be tailor made to your site and extra accessories and adaptations can be added as required. 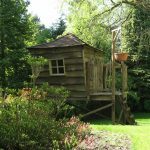 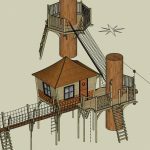 These treehouses can be built as completely stand alone or incorporating trees. 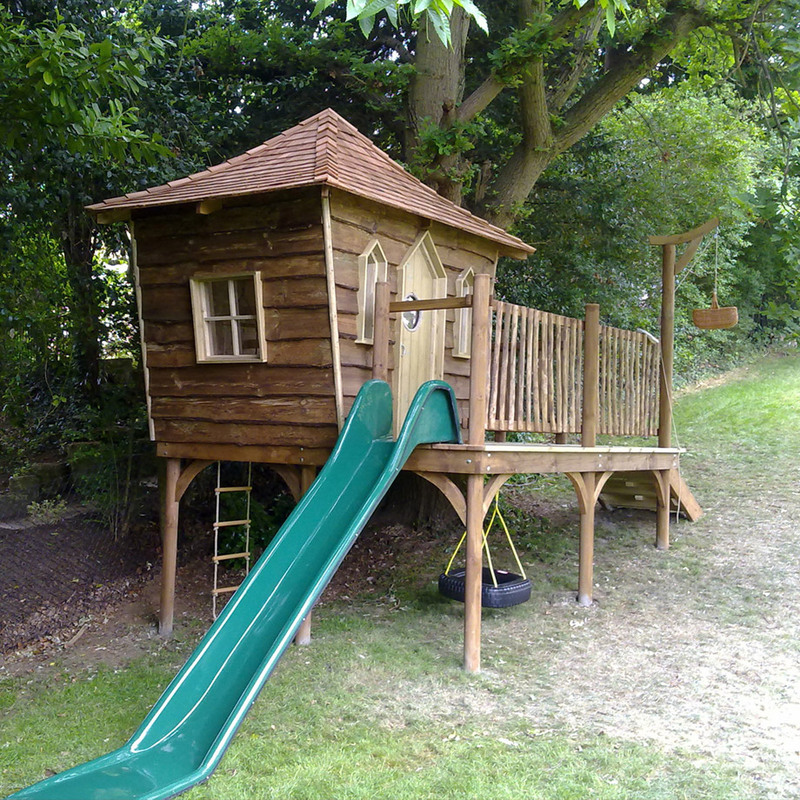 The children absolutely love it and are scrambling about very confidently. 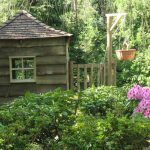 They love the little basket and bring all their belongings out to winch it up.